The weather has been extremely cooperative, with cool nights, warm to hot days, and enough rain collected in buckets to water this year’s crop of fast-growing greens. I was able to pick some broccoli raab, or rapini, and use it in a simple, hearty dish. I got the recipe from Bryanna Clark Grogan, although I just searched now on her site and was unable to find it. I think I may have asked her last year for it because I wanted to know what to do with the broccoli raab I was growing for the first time. The recipe is called White Beans and Rapini. You can find a link to her site on the right. If you ask her nicely, she’s likely to share the recipe with you. Bryanna is extremely generous. Saute some onions and garlic in toasted sesame oil, which adds a lovely flavor and aroma. Bryanna adds it to replace pancetta in a meat-eater’s version. Add some cooked beans. So far I’ve tried white and pinto. Both were delicious, but the pinto had a bit more pinto flavor–duh! Also add a touch of salt and some chopped broccoli raab, or rapini. I didn’t have that much, so I also added some Japanese mustard cabbage greens, a variation of bok choy. Saute until the greens are wilted. That’s it! Both the mustard and the rapini have a slightly bitter flavor which offsets the somewhat creamy texture of the beans, and the sweet crunch of the onions. The bitterness will become more pronounced if you let the greens get bigger and older before picking them. But I wanted to sample from my garden before the bugs, slugs, and diseases beat me to it! At any rate, it’s a simple, quick, and delicious dish that you don’t really need a recipe for. Use your judgment and let your taste buds decide. Looking for a unique gift for a popcorn lover? 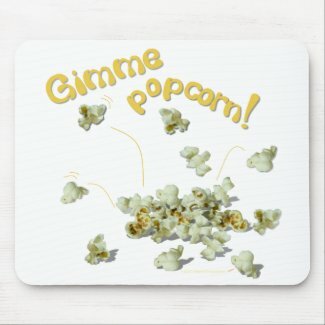 Get him or her this popcorn design cool mousepad/ mouse mat. Looks good enough to eat. In fact, it’s a great way to remind yourself to eat healthy snacks. Did you know popcorn is a whole grain, full of fiber, with no cholesterol? 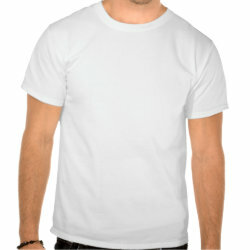 *Don’t like the white background? Click on “customize,” then “color,” “background,” and choose from the dropdown menu. Don’t like your choice? Hit “revert” to try again. You are currently browsing the Almost Vegan in Paradise blog archives for February, 2010.